Interested in a motivational speaker that keeps people engaged all day? 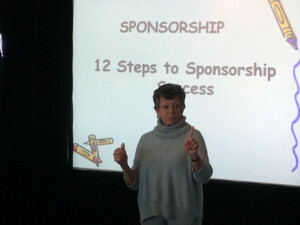 Sylvia Allen is the professional speaker for you. Whether speaking in China or Ox Bow, Oklahoma – the results are always the same. People learn, have fun and she is called back time and again to energize, renew and invigorate the audience. And, with more decades of experience than she cares to recount, Sylvia offers training in customer service (training/coaching), minority and women’s groups, sponsorship sales, fundraising, female assertiveness training… and more. Beth Duke, Executive Director, Center City of Amarillo, Inc.
Where in the world is professional motivational speaker Sylvia Allen? Sylvia has won many awards because she has the experience, enthusiasm, energy, and expertise you can’t find any where else. Her engaging personality is sure to inspire you! Contact Sylvia to find out her availability; e-mail Sylvia.Allen@AllenConsulting.com or call 732-946-2711. Speaker: Ms. Sylvia Allen, CFEE, President, Allen Consulting, Inc. Session Date/Time: Tuesday, September 22, 2015 at 4:15 p.m. to 5:15 p.m. Kept it real and fresh! Always a great presentation. Would have loved handouts. Excellent presentation – excellent ideas. Incredible presentation – perfect speaker for end of the day. Very fast paced – more handouts. Sylva gave a great energetic session. Great content and enthusiastic speaker. Awesome and straight to the point. Very informational.